We have been very busy recently raising funds for Children in Need. 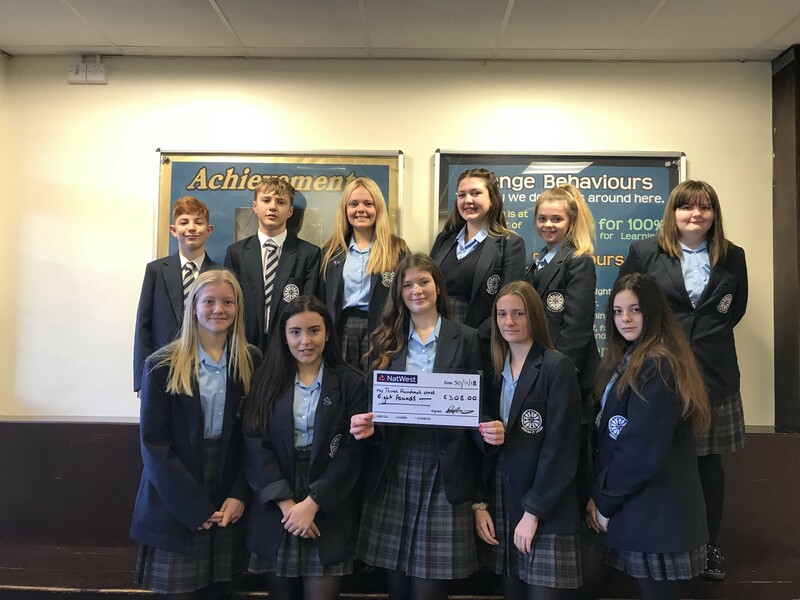 This term the students have run numerous events such as daily bake sales, designing an art board, a rowing competition and a netball competition all to raise money for Children in Need. We are very proud of the students who were involved - they have raised £308. Well done! Our particular thanks go to Selena, Kayley, Millie, Emma, Kirstie, Izzie, Jack, Tyler, Kayla, Katie, Charlotte and Ella for their hard work and dedication.